**All Manufacturer’s Rebates may be subject to residency restrictions. Any customer not meeting the residency restrictions will receive a dealer discount in the same amount of the manufacturer’s rebate. 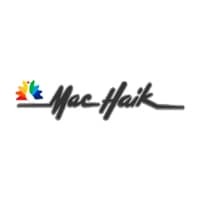 • Mac Haik Chrysler Dodge Jeep Ram offers complimentary lifetime powertrain warranty on RAM Trucks. • First oil change for free. • Free tint on all new and pre-owned vehicles. ***New vehicle pricing includes all available offers and incentives. Some customers may not qualify. Tax, Title, and Tags not included in vehicle prices shown and must be paid by the purchaser. Some vehicles may have aftermarket parts or wheels added. This may not be reflected in the price shown. While great effort is made to ensure the accuracy of the information on this site, errors do occur so please verify information with a customer service rep. This is easily done by calling us at (832) 590-0380 or by visiting us at the dealership. Manufacturer’s Rebate subject to residency restrictions.